The Berea College Farm, comprising 100 acres of row crops, 200 acres of hay and silage and 180 acres of pasture land, is a non-GMO, certified organic operation in Berea, Kentucky that has been providing SESE with organic seed for three years. Livestock enterprises are a major component of the College Farm and include cattle, hogs, and goats. Recently, the college has experimented with producing value-added goods such as sausage and jerky. 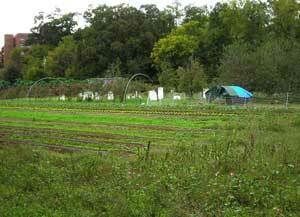 In addition to nurturing the next generation of organic farmers, the farm sells plants on site, co-hosts an annual local food exposition with Sustainable Berea, and provides the college cafeteria with produce. According to Janet Meyer, assistant farm manager, seed saving is not only a good source of side income for the Berea College Farm but also provides an excellent learning opportunity for aspiring farmers. 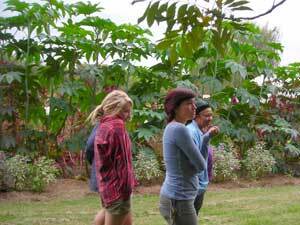 In the past few years that the farm has been producing seed for SESE, students have learned how to select plants to grow to seed based on variety, size and health. Janet has found that the concepts of seed saving are not intuitive for her students. In fact, the concepts are foreign to some of the locals who interact with the college farm staff at farmer's markets and events, too. 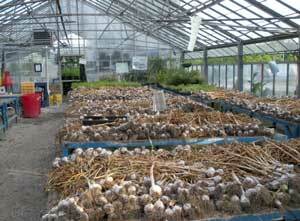 One garlic grower didn't understand why the bulbs he was saving kept getting smaller and smaller over generations. Janet had to explain to him that if he was selling all the biggest, best heads and keeping only non-marketable garlic to replant, he had been inadvertently selecting for small bulbs! 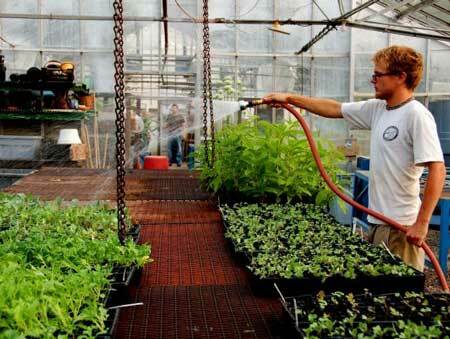 Because Berea College is in a conservative state, some conventional growers in the area believe that the school is doing a disservice to its students by teaching them organic methods and to ignore the chemical recommendations of the state of Kentucky. But Janet says the key to successful organic farming is proper management the skills of which many conventional growers have lost. "There are many things you can do before you get to the point where you need to spray anything," she says. It's important to her to make sure her students understand the importance of mulching; of not touching tomato plants when wet to avoid early blight transmission; of crop rotation and cover cropping; etc. 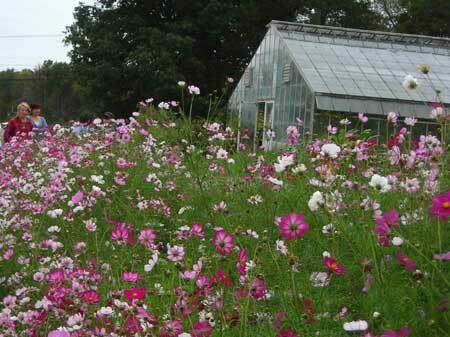 Part of this holistic approach to farm management for Janet, of course, is seed saving. 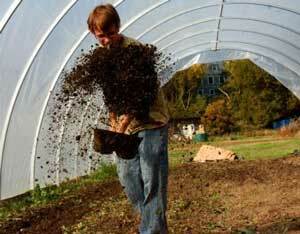 The Berea College website has more information on their farm.